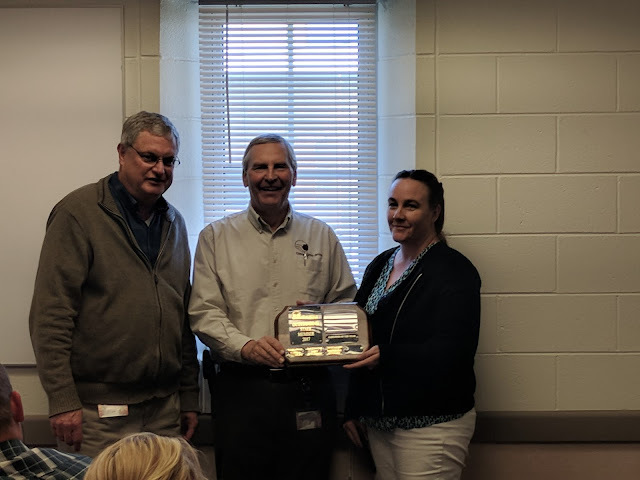 Mesa County Criminal Justice Services Department (CJSD) Director Dennis Berry, center, and Deputy Director Matt Sullivan, left, recognize Operations Manager Michelle Cooley for her hard work and dedication. Cooley is CJSD's Employee of the Quarter. Congratulations, Michelle! 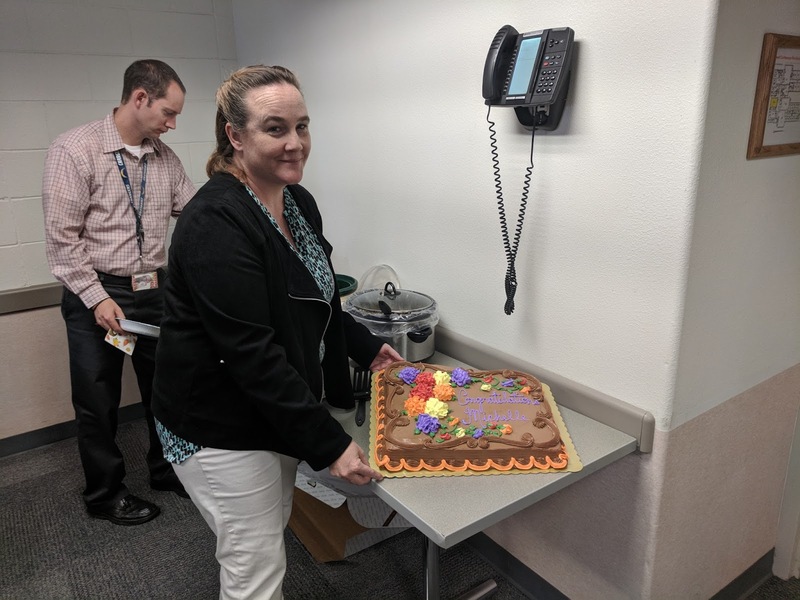 CJSD Operations Manager and Employee of the Quarter, Michelle Cooley, received a cake to celebrate her accomplishments. 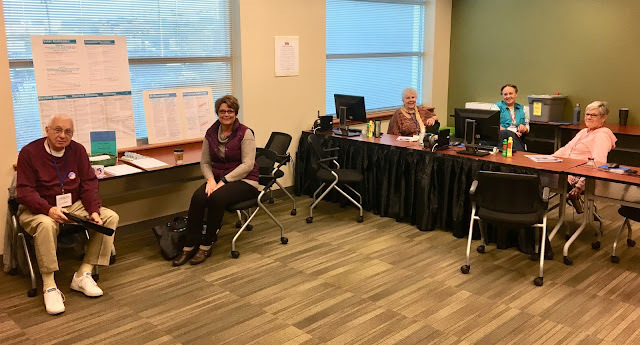 On the first day the in-person voter service center opened, at the Mesa County Central Services (MCCS) Building, 200 S. Spruce St., Mesa County Clerk and Recorder stopped by to visit with election judges. Election judges are hard at work at MCCS, 200 S. Spruce St., As of Thursday, Nov. 2, Elections has received over 28,000 ballots. There are still a few days remaining to turn your ballot in, don’t wait until it’s too late! The 17th Annual Caregivers Conference hosted by the Area Agency on Aging, as well as Aging and Disability Resources for Colorado (ADRC) was held at the Mesa County Workforce Center, 512 29 1/2 Road. 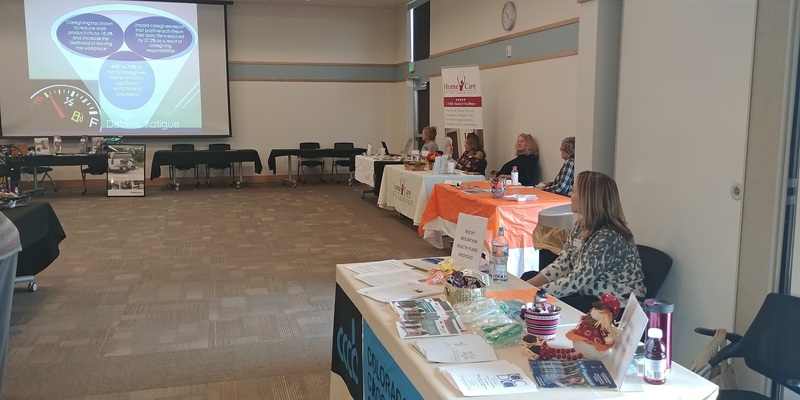 Local vendors offered advice for caring for the elderly and disabled at the 17th Annual Caregivers Conference. Mesa County Commissioner John Justman talks to KKCO News Channel 11 Reporter Stephanie Bennett about Ordinance No. 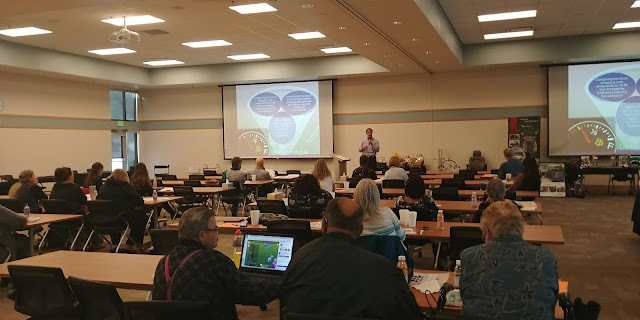 11, which prohibits the operation of marijuana cultivation facilities, marijuana product manufacturing facilities, marijuana testing facilities or retail marijuana stores within the unincorporated boundaries of Mesa County. Grand Valley Transit (GVT) participated in Trick-or-Treat Street in Palisade and Truck-N-Treat in Fruita. In 2016, GVT got first place for best-dressed vehicle, this year they got second place out of 36 participants. GVT drivers are committed to safe, reliable, and friendly service to the communities we serve. Even when dressed as a kitty cat! GVT provides over 2,300 passenger trips each day. 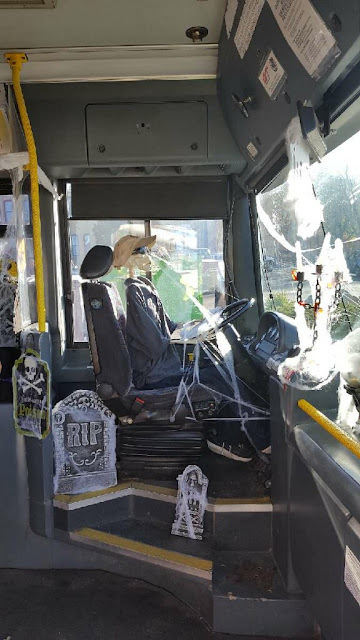 On Halloween, GVT passengers got to see their regular drivers in costume - a real treat! GVT passengers got to see their drivers in Halloween costumes Tuesday, Oct.31. 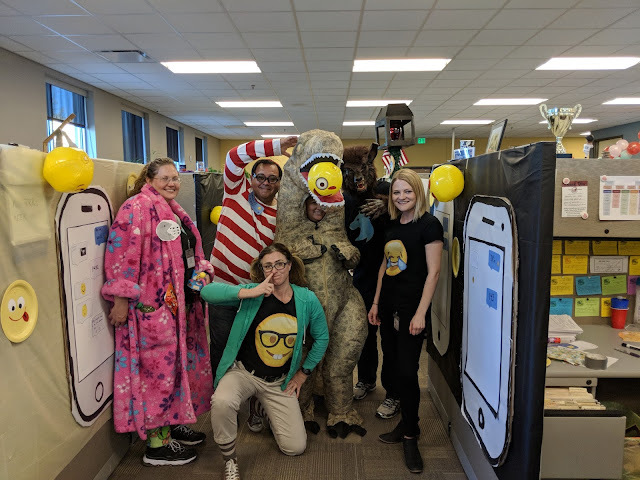 GVT participated in Trick-or-Treat Street in Palisade and Truck-N-Treat in Fruita, and took second place out of 36 participants! 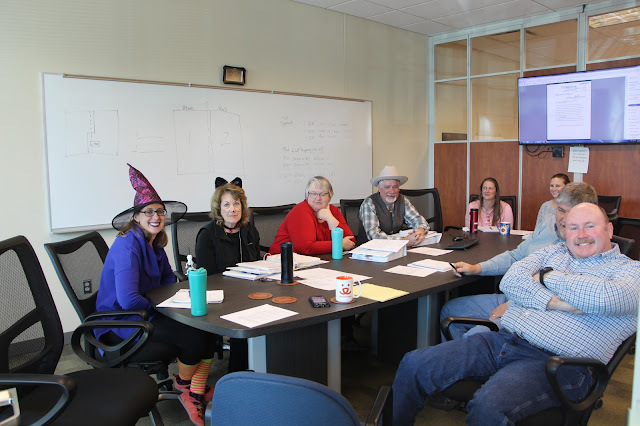 This year a few Mesa County employees dressed up for Halloween. Mesa County Public Works Operations Manager Connie Hahn came to work as a chicken. A crazy, dangerous chicken. Beware of this chicken. Oh, oh, this witch is fancy! Mesa County Motor Vehicle Customer Service Specialist Katy Conner strikes a pose, while MV Manager Bobbie Gross covers her desk at the frontline while the picture is taken. It's a busy place! Mesa County Planning Office Administrator Kathy Kinsey is a patient for the day. Checkout all her props. Yes, we all hope that it is apple juice. By the way, the backside of her costume was spot on. Motor Vehicle Customer Service Specialist Mathew Vigil is a keyboard warrior. Motor Vehicle Customer Service Specialist Greg St. Martin is a six-foot panda. That's the tallest panda ever! Motor Vehicle Customer Service Specialist Don Clement is a trained service monkey. Enough said. Mesa County Senior Human Resources Analyst Krista Ubersox is a life-size lego for Halloween. Get it? Iron + apron = Iron Chef. But, you already knew that, right? Motor Vehicle Customer Service Specialist Katie Conner's costume is subtle but on point. When you are in a serious meeting with a witch and a cat. Mesa County Public Works Office Administrator Pam Hawkins shows off her spooktacular nail art on Halloween. Mesa County Building Department Coordinator Rhiannon Foreman dressed up as a pirate for Halloween. ARR. Mesa County Right-of-Way Agent Shawn Burd sits at his desk Tuesday, Oct. 31 waiting for a phone call. " Who you gonna call?" "Ghostbusters!" Keyboard Warrior Mathew Vigil decided he wanted to be a panda, too. Mesa County Solid Waste Management staff had fun on Halloween. 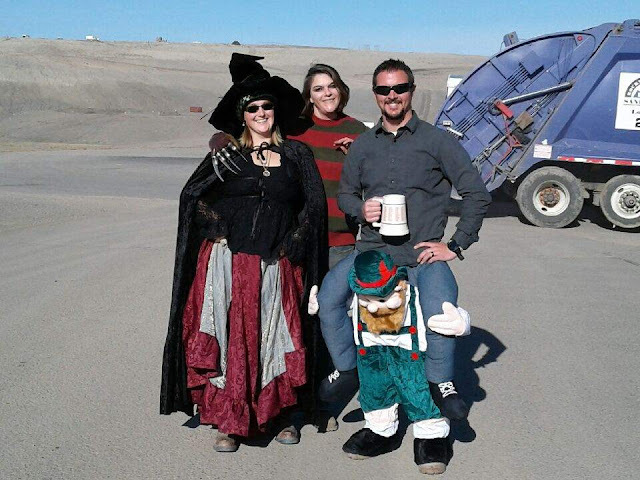 From left to right: Landfill Compliance Manager Jennifer Richardson, Mechanics Assistant Gennelle Belcastro and Solid Waste Director Barrett Jensen and his leprechaun. Side note: the stein was empty. Mesa County Clerk and Recorder Sheila Reiner dressed up as Maleficent on Halloween. Mesa County Clerk and Recorder Sheila Reiner stays in character as Maleficent and spreads her wings. It's a T-Rex. Run! 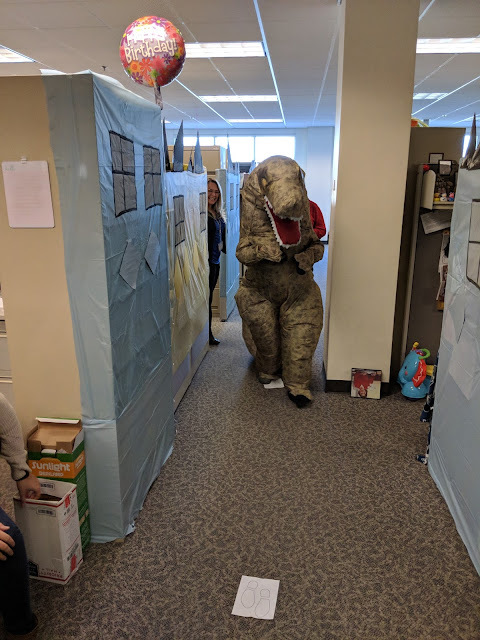 Mesa County Department of Human Services Charlene Moncada is a T-Rex for a day. 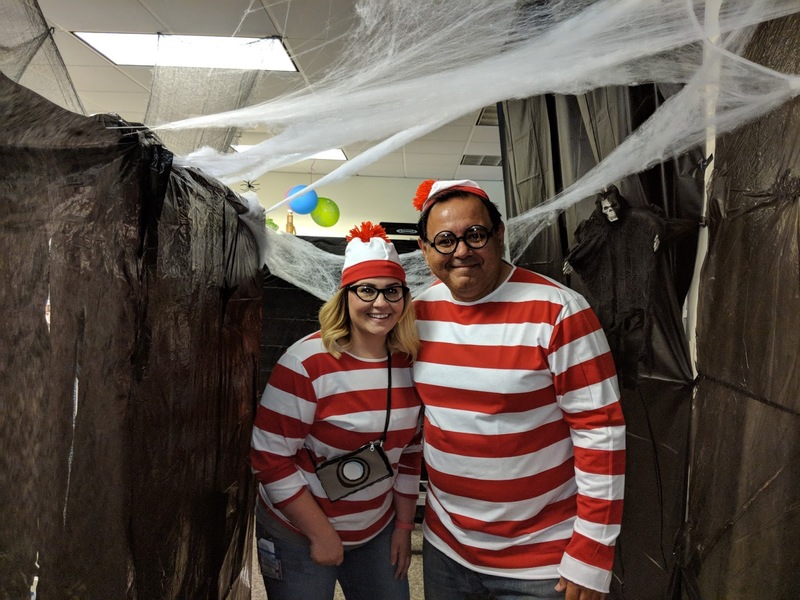 That moment when Waldo finds another Waldo or is it Walda? Who is the real Waldo? 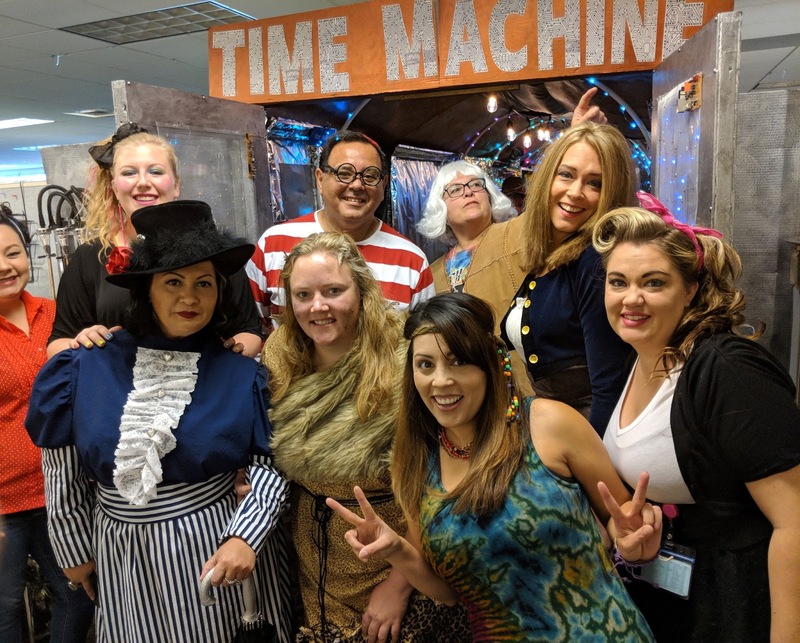 Mesa County Department of Human Service's Blue Team Eligibility coordinated their costumes to dress up as time Time Travelers and posed with a special guest. Where is Waldo? 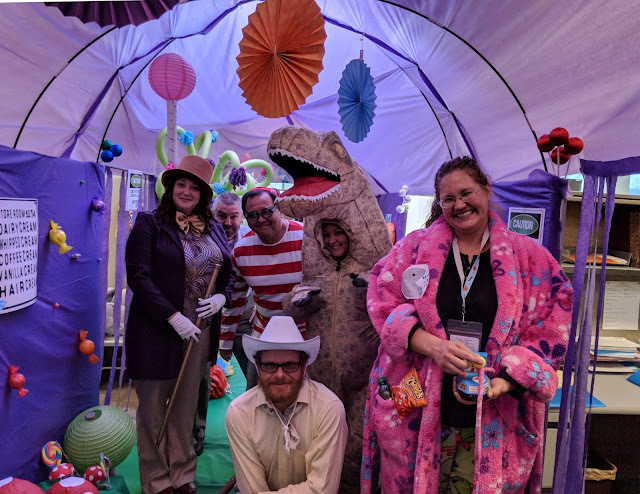 Many Mesa County staff members participated in the Trick-or-Treat Street event on Halloween for foster children at the Mesa County Community Services Building, 510 29 1/2 Road. Can you spot Department of Human Services Executive Director Tracey Garchar. Great costumes! County staff gets ready to give out candy to trick-or-treaters on Halloween. 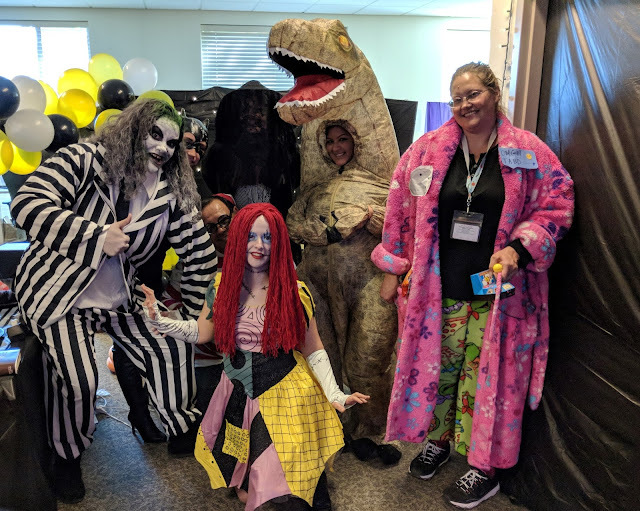 The Workforce Center staff did up Halloween in style!